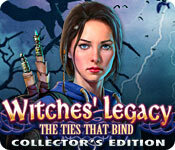 Witches' Legacy: The Ties That Bind Collector's Edition is rated 3.8 out of 5 by 45. Rated 5 out of 5 by hermitcave from Edward missing? Lynn trying on her wedding dress? Edward's missing sister? Lynn and Edward are to be married this weekend and Lynn is trying on her dress. The Imp brings a letter from Edward telling her that he has gone to Oldhills to meet someone who says they know what happened to his parents who were killed in a fire. He promises to be back in time for the wedding. Edward and his sister, Abigail, were sent to the Oldhills Orphanage after the fire but were adopted by different families splitting them up and he lost all contact with her. Lynn is upset because they both knew it was a trap and now she has to follow and find him and try and find out what happened to Abigail. Guess who adopted Abigail and has convinced her that Edward caused the fire that killed their parents? Yes, she is back - Elizabeth. With the help of Jonathan Corwin, Deputy Sherrif of Oldhills, you are able to convince Abigail of the truth and save Edward but Abigail pays the price by being turned into a crow. There is the usual excellent graphics, music and sound effects with great animations. Diaglog is advanced by clicking the conversation. The interactive map shows action areas and if the scene contains a morphing or puzzle piece. there are 35 morphing objects and 35 puzzle pieces to be found as well as 10 Imp toys. Most are easily found but I did note several puzzle pieces were partially obsecured by the Imp's head. The Imp is here again as a helper and also the task banner holder. 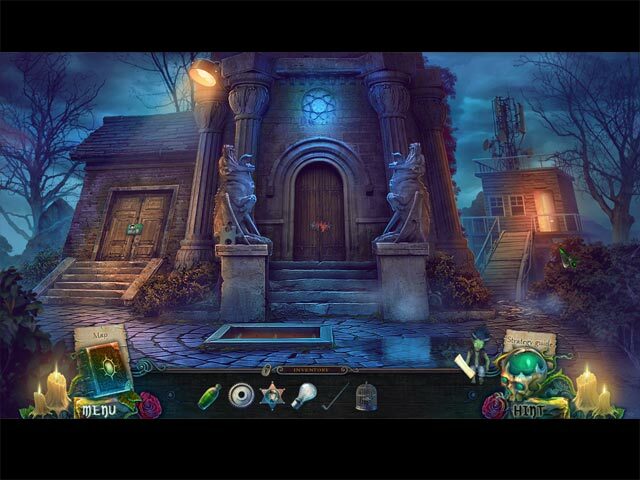 Hidden object scenes were plentiful and multi-leveled requiring multiple steps to find objects. The list of objects to be found even needed to be uncovered in some scenes. You have the option to play a matching game instead. In the Bonus Chapter, Abigail is now a crow and someone want revenge on her and has kidnapped her and plans to kill her. You have to find out who, convince him not to harm her and figure out how to return her to human form. It was a nice addition to the main story with a pretty good ending where Abigail and Edward are reunited as siblings and Edward and Lynn get married. Morphing objects, puzzle pieces, and Imp toys are completed in the bonus chapter. When you find all of the puzzle pieces, you can put the puzzle together as an achievement. Also, the Imp will play with any toy clicked on in the Imp Room achievement. I found a couple of odd actions used to solve a puzzle. In one scene, a scraper is being held by a cable that needs to be cut and the required tool to do this turned out to be an animal spring trap. Also, in the witch's cave at the table to gather ingredients to perform the ritual, there is a glass jar with a rune inside. When you cursor over it, it says you don't really want to break the jar but that is exactly what you have to do. As the fourth in the series, it continues to be a good series and I have the next two episodes to play. It has been great so far. Rated 5 out of 5 by tutortime from Beautiful game. Loved playing this game. The mini games were very different and enjoyable. Colors and graphics were beautiful. Sadly, I didn't find all the puzzle pieces so the bonus chapter never opened. Rated 5 out of 5 by krystal59 from Wow This game was the best of the three. Graphics are gorgeous! very detailed and richly colored. I especially liked the train station. This one started out with that same tired old storyline.. been kidnapped ugh but soon grew into much more than that. thank god. It evolved into witches and fires and broken relationships. There were 3 collectibles.. puzzle pieces, morphing objects and play toys for Imp...our helper. I loved how when you found him a play toy, he would use it briefly. very cute to see him making bubbles or playing the guitar. There were 35 of lots of things.. HOP's some of them silhouettes, some of them lists, although many repeated, mini games that were quite fun, puzzles pieces and morphing objects. Also many achievements. I liked how the jump map kept track of your collectibles. I did notice the error in it where they had switched the icon for where you were and where you had things to do but they rectified that by the extra chapter. This game had some length which is a sure fire way to bring the game from four stars to five in my book. You get a lot of game for your money here. I really liked this one. Liked the old detective guy, the multitude of locations and inventory objects. Nothing really new here but a good solid HOPA that was both beautiful to look at and fun to play. Very good job Elfun games. Rated 5 out of 5 by joneslady65 from Love the Witches Legacy series I have all of the Witches Legacy games. Eagerly away each new game. Hope there will be another game ! Rated 5 out of 5 by desiskorm from Loved the game Although I wasn't charmed by the graphics and I'm not such a big fan of the series, the game was very fun for me and I just had to finish it no matter what. Rated 5 out of 5 by SMRossman from LOVED IT! 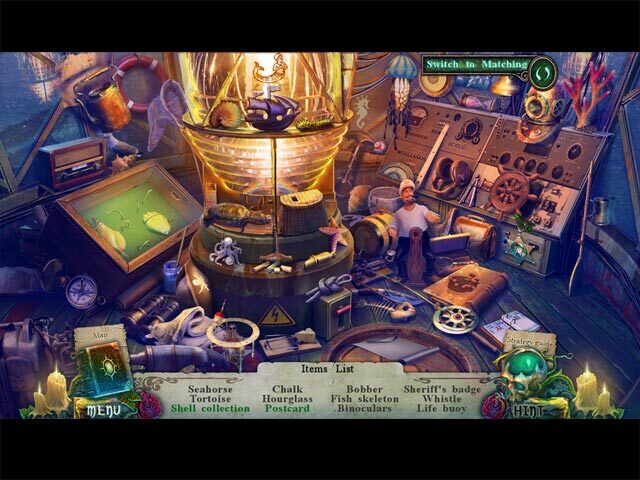 I play only Hidden Object games, have play MANY, and this one is great. I was up till 4:30 am because I couldn't quit, had to see what was next. I plan to play this over and over. Rated 5 out of 5 by ladiana1950 from Awesome Game in an awesome Series!! I am just blown away with this game! It has all the elements you look for in a really good game and beyond!! Good Job Team!! I kept playing, and kept playing for hours!! Love it, Love it, Love it!!! Now I can't wait for the next one! Thank You SOOOO Much!! Rated 5 out of 5 by 1955raven from 5 Star GAME FUN, ENTERTAINING GAME,LOVE ALL THE HIDDEN OBECT SCENES, AND PUZZLES! THIS GAME IS A GREAT ADDITION TO PREVIOUS GAMES.GET YOUR MONEYS WORTH WITH THIS ONE! 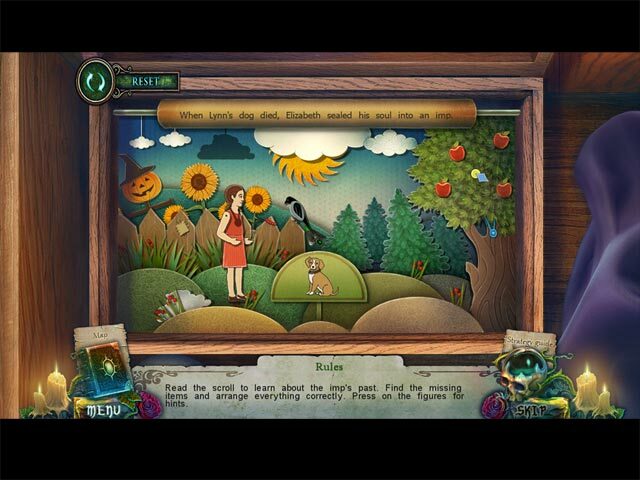 Rated 5 out of 5 by Steener from awesome hidden object AND puzzle/adventure game This game held me hostage for 3 days! more than just looking for hidden objects, you have to find morphing things and puzzle pieces. This is what all games should be like! Loved it.